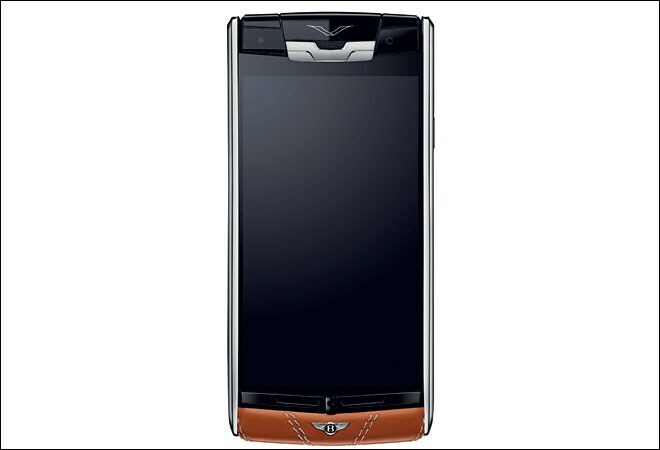 Say hello to the 'Vertu for Bentley' mobile phone, which will ensure that you wield as much power in your palm as you do on the roads. Bentley spells luxury, and your association with the brand does not have to end with the Flying Spur in the garage. Say hello to the 'Vertu for Bentley' mobile phone, which will ensure that you wield as much power in your palm as you do on the roads. Combining English handscraftmanship with outstanding performance and cutting-edge technology, the handset is just what you need to paint the town red. Swathed in quilted calf leather in a classic Bentley shade of Newmarket Tan and embellished with a diamond pattern, the titanium body of the phone is durable yet lightweight. The insides, for its part, house hi-tech technologies that will always keep you ahead of the game. The phone, which runs on the Android 4.4 KitKat platform, boasts of acoustics from Bang & Olufsen, a camera perfected by Hasselblad, and a hardy 2.3 GHz quad-core processor.